Larger quantity than the loaded syringe kits for multiple rod building projects. 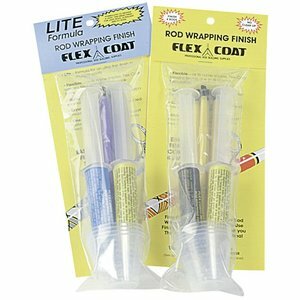 This durable two part polymer finish for 1 or 2 thick coats or multiple coats with the Lite Finish. Larger quantity than the loaded syringe kits for multiple rod building projects. 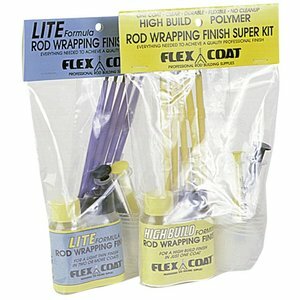 This durable two part polymer finish for 1 or 2 thick coats or multiple coats with the Lite Finish. Superkits include 2 oz. rod finish, 5 mixing cups, 5 mixing sticks and 5 finishing brushes. Original Formula. 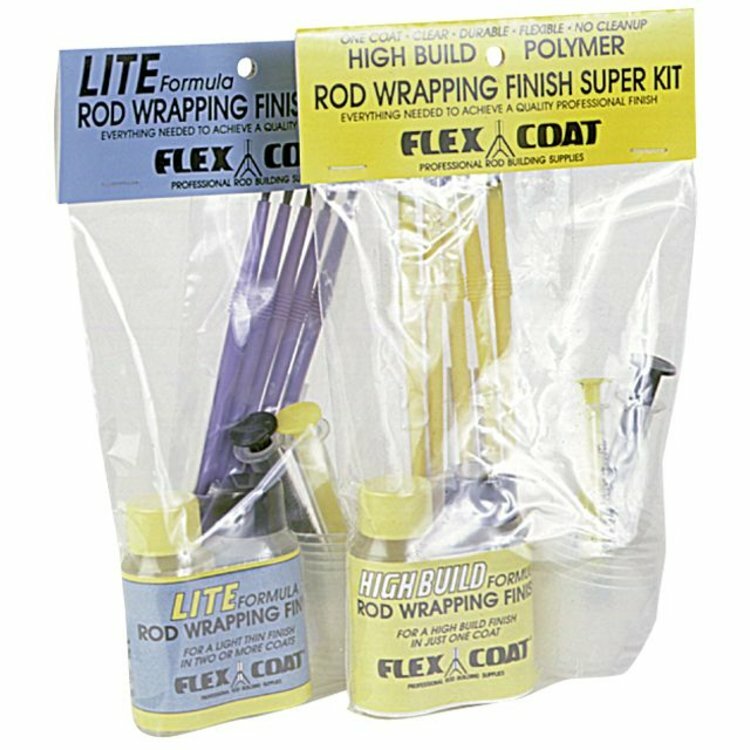 Larger quantity than the loaded syring kits for multiple rod building projects. 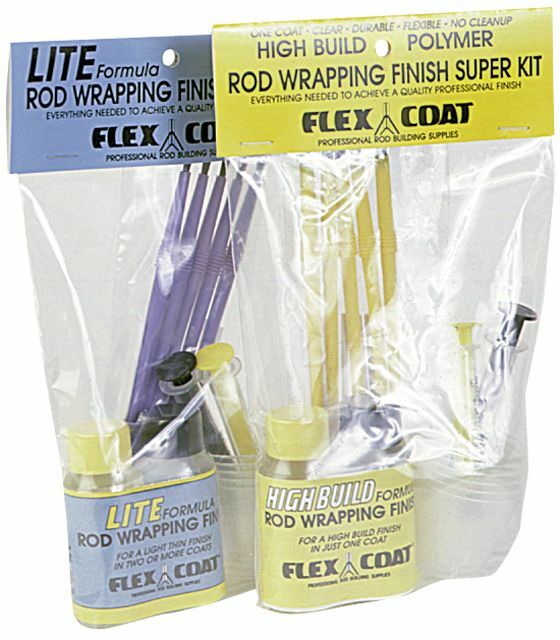 Flex Coat Rod Finish-Original Formula, A durable two part polymer finish is for 1 or 2 thick coats. Loaded syringes for perfect mixing and includes 4 mixing cups, 4 mixing sticks and 4 finishing brushes.